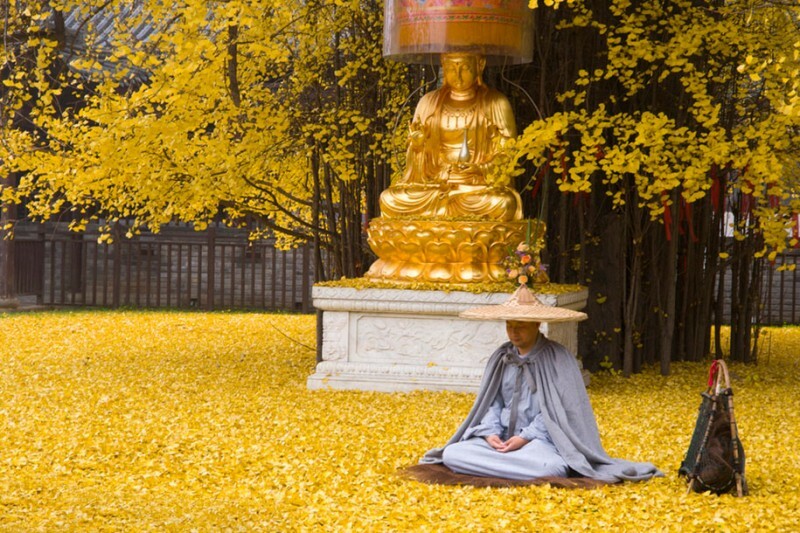 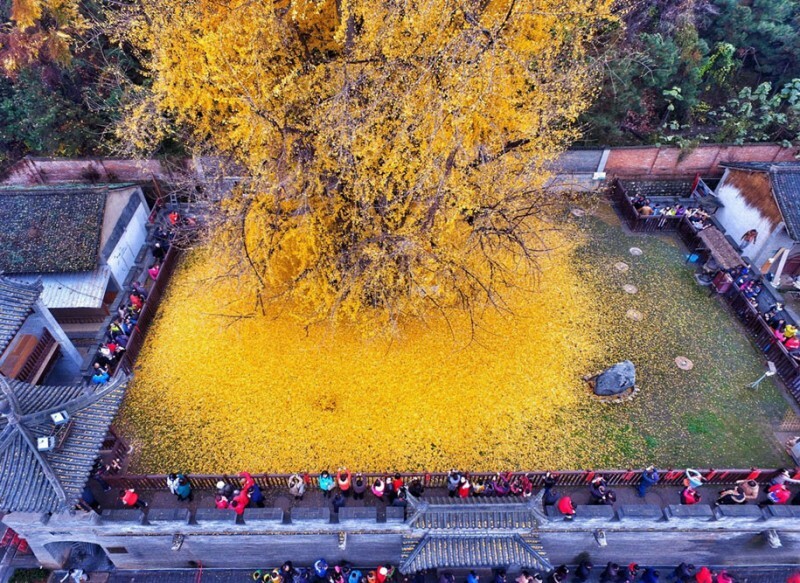 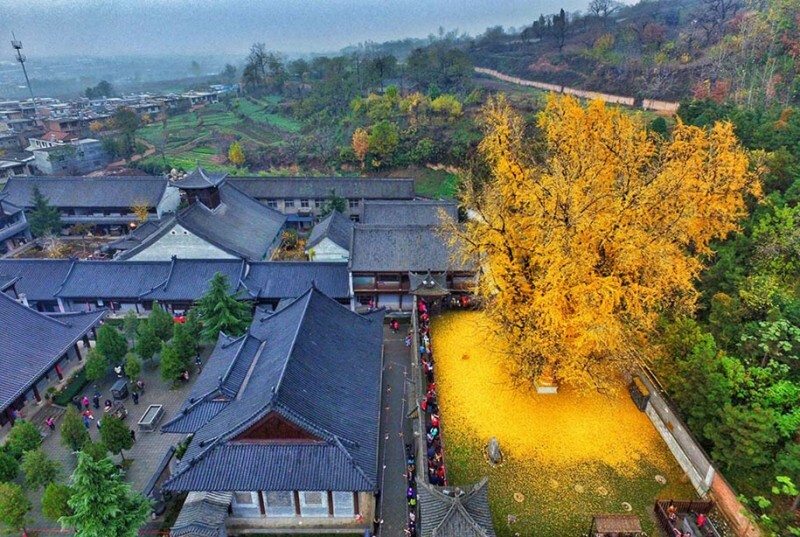 This beautiful Ginkgo tree near the Gu Guanyin Buddhist Temple in the Zhongnan Mountains, China is 1,400-year-old, every year, the pretty yellow and red leaves will cover the ground like golden blanket, a sure sign that autumn has come once again. 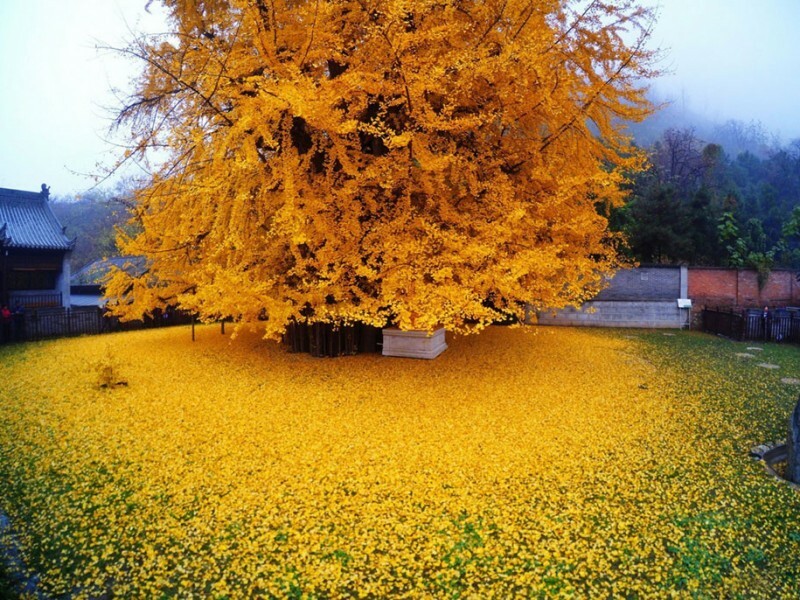 Ginkgo, sometimes called maidenhair tree or “living relics”, is a kind of deciduous Chinese tree having fan-shaped leaves and fleshy yellow seeds, which has been cultivated for centuries and has both culinary and medical applications, traditional Chinese physicians have used extracts from leaves of the maidenhair tree, Ginkgo billowy, to treat asthma, bronchitis, and brain disorders. 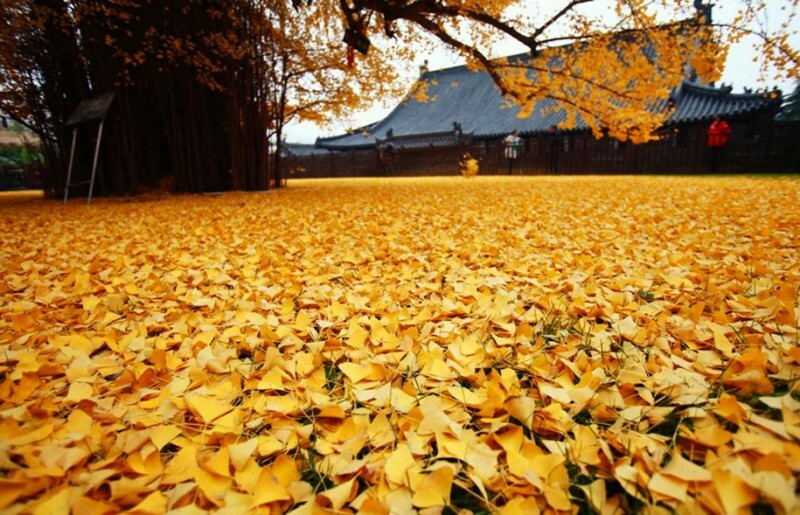 There’s evidence to show that Ginkgo supplements can aid with preventing further memory loss for dementia and Alzheimer’s patients, although additional study is needed.